Love it! 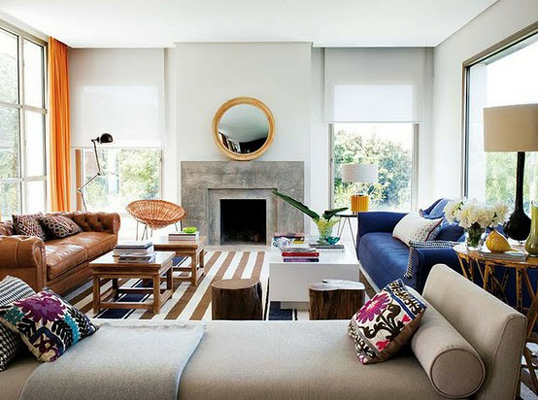 The couches all look so regal and inviting. When paired with coral, it feels very stylish beach house! Yes! 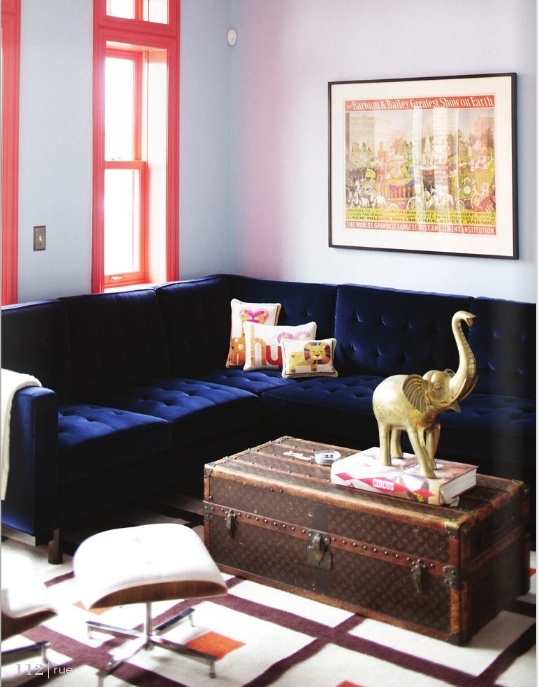 I've been hooked on the idea of a navy velvet sofa for awhile now. 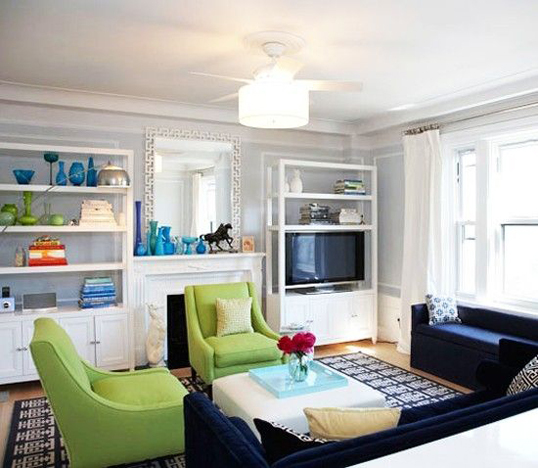 Think it's perfect for merging masculine and feminine style under one roof! Yes, delicious. Might be lookin at a navy velvet sofa in my near future. Almost went navy with my sofa, but decided on chocolate brown velvet instead. I love this look. Navy is such a great anchor color and velvet is always scrumptious. I'm so stuck on this too!! Emily Henderson's navy headboard? I have a little breakfast nook in my house and I'm thinking the benches should definitely get a navy treatment. ok, great minds think alike...me too....I'm undecided on a blue like this or a gray velvet....for the sofa in my living room....I want the room to be very monochromatic....Let's see....but the blue is definitely so luxe! I love it. 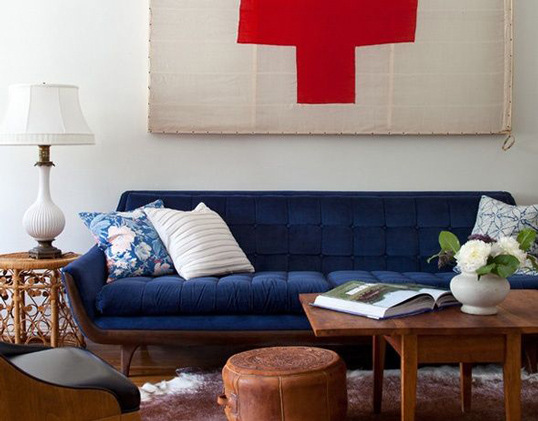 I have a blue x-bench in our office and I so want to bring it into the living room! love this! navy is here to stay!! I always wanted a velvet sofa, but with our two cats it'll be messed up in no time. If you get navy, pair it up with orange-yellow-something! I love this! 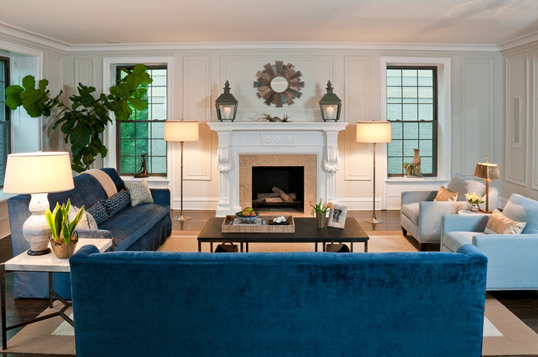 No way I could have a velvet sofa with a 2 year old but we have a beautiful navy sofa...it's just such an eye catcher! It's so funny, we recently got a gorgeous gray sofa from West Elm (which I LOVE), but isn't there something special about a deep blue color. Adds certain depth to a space. Our first sofa was navy velvet and it lasted through two babies...and childhood. 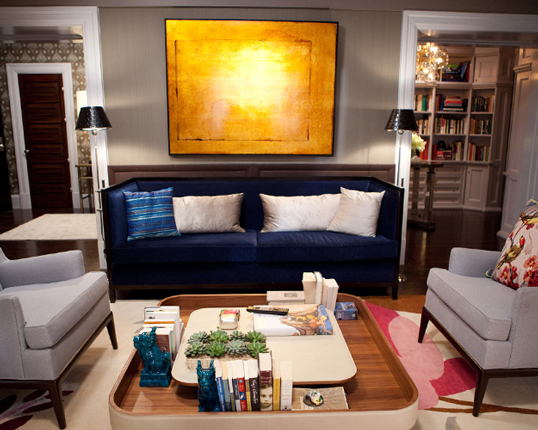 I wouldn't get a cobalt blue sofa, but a navy one, sure! Navy blue is my favorite color and I found the perfect microsuede fabric to reupholster my couch. Navy will always be a classic like black, white and neutrals. I agree love the cobalt! 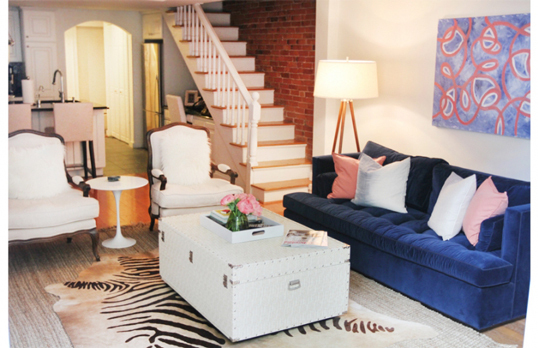 I love the navy velvet sofa! I made my headboard out of a navy velvet and love it! It does feel glamorous, but is also great for wear and tear. In such a dark color, you won't get the fabric messy.